CDL has been a strong champion of corporate social responsibility (CSR) in Singapore. This new Green Mark Platinum hotel adds to CDL’s 62 Green Mark developments, including 21 Green Mark Platinum projects. CDL was the only developer to be accorded the Green Mark Champion Award in 2008 and the Built Environment Leadership Platinum Award in 2009, as well as the only recipient of the Green Mark Platinum Champion Award in 2011. In addition, CDL is the first Singapore company to be listed on all three of the world’s top sustainability benchmarks: FTSE4Good Index Series, the Global 100 Most Sustainable Corporations in the World, and the Dow Jones Sustainability Indexes (World & Asia Pacific). CDL continues to advocate that developers can conserve as we construct. W Singapore – Sentosa Cove is yet another exemplar of CDL’s long-standing commitment to sustainable development. Going green can make business sense, resulting in environmental benefits and financial savings. Our corporate sustainability strategy has proven to be a successful one for us, accounting for significant operation savings while also benefiting the environmental bottom line. The hotel’s architectural design and orientation layout enhances thermal comfort, natural ventilation and natural day lighting, which helps to decrease the need for supplementary cooling and lighting. LED lighting is energy-efficient and the extensive use in the hotel serves to reduce overall energy use by about 39%. Water-efficient fittings under PUB’s Water Efficiency Labelling Scheme are installed within the hotel, with estimated water savings of over 8,000 m³ per year (approximately more than S$9,000 savings). The hotel uses high-efficiency chillers, chilled water pumps, condenser water pump, cooling towers, air handling units and fan coil units, which significantly reduces energy consumption and cost by 2 million kWh per year (approximately S$560,000). The implementation of a rainwater harvesting system for the irrigation of landscape reduces the use of potable water, with estimated water savings of 15,000 m³ per year (approximately S$22,200 savings). 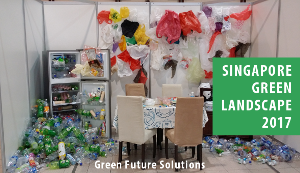 Other green initiatives include having sustainable meeting practices and an internal hotel recycling scheme. This new green hotel by CDL is another example of how green buildings can make business sense with environmental benefits and cost savings. More importantly, it serves as a motivation and push for other building developers to have their new developments designed, built and operated in an environmentally responsible manner.